First part: Guess a number and Multiply it with 9, then add its digits and reduce 5 from it. This part is just a simple distraction to make you feel you are doing something complex. As many of you may know multiplying any number by 9 and adding its digits till you get a single digit will always result in 9. (2) Now If you have selected Denmark then what is the chance that you will select Kangaroo in the next round? This means that Mathematically you have 1/12 Chance of Selecting Kangaroo. Now This is relatively easy, you have only two choices it can be either Olive or Orange. Hence again Mathematically Speaking you have 1/2 chances of selecting Oranges. 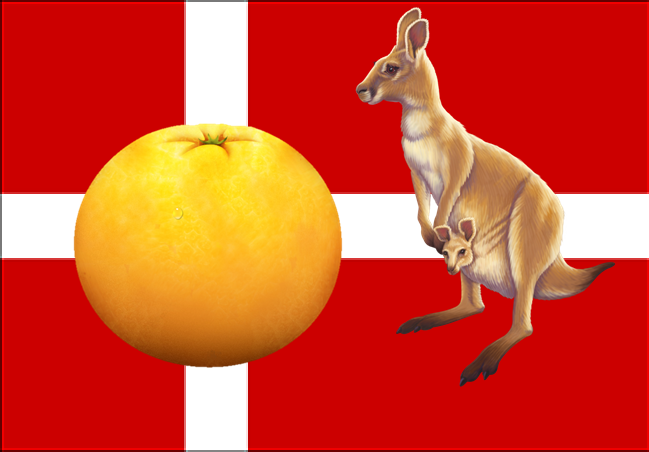 To conclude, Mathematically speaking your chances to select Denmark –> Kangaroo –> Oranges is exactly 1/4 x 1/12 x 1/2 = 1/96 or just above 1%. This implies that almost 100% will select Denmark but Let’s give benefit of doubt again and make it 95%. However one need to consider that Orange is more likely to come in everyone’s mind as its most commonly associated with Fruit in daily world and not the olive. However by giving benefit of doubt again we take 95%+ chance of selecting Orange. Amazing isn’t it? This is the best example how Mathematical probability can just prove terribly wrong in real life.